Fairtrade & organic cotton, these plain black yoga leggings feature a wide waistband and have a good stretch for extra comfort. 100% opaque. Produced in India by Assisi Garments, they employ skilled artisans to convert Fairtrade and organic cotton fibres into fabulous handmade garments. Care instructions: Wash on a low spin with a mild detergent and with similar colours. Do not soak and dry flat in the shade. 95% organic Fairtrade cotton, 5% elastane. Inside leg length - 69cm. The People Tree Yoga Leggings - Black product ethics are indicated below. To learn more about these product ethics and to see related products, follow the links below. These leggings are very high quality. They are a small 8, nearer a size 6. If I had realised before ordering that they would be so close fitting, I would have ordered a size 10. 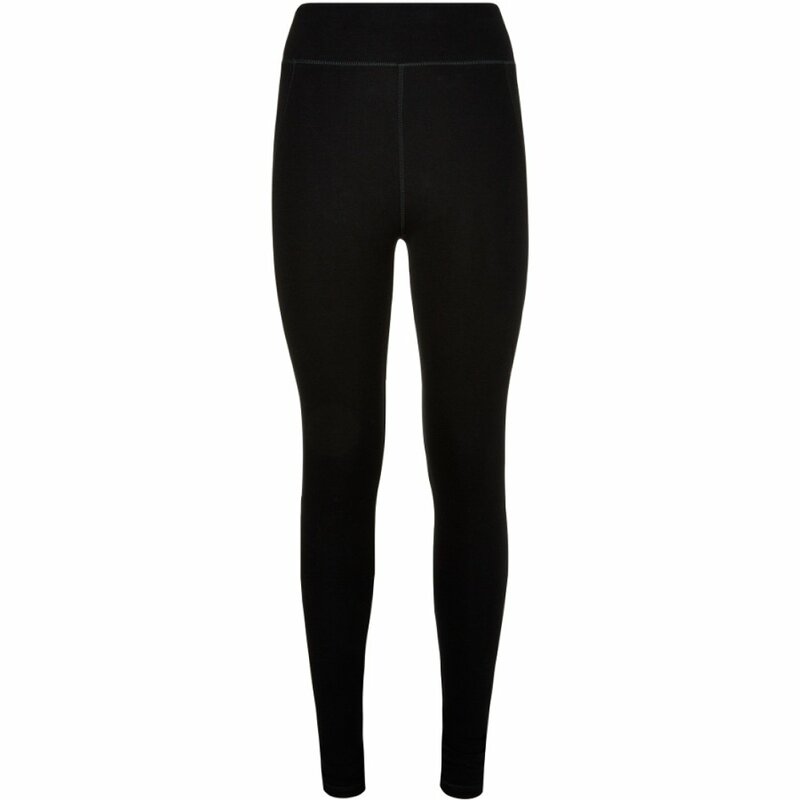 There are currently no questions to display about People Tree Yoga Leggings - Black. People Tree are the pioneers of fair trade and organic fashion, creating sustainable clothing for women, men and children since 1991. They believe in creating beautiful garments that create an equally beautiful change somewhere else in the world, by working with 50 fair trade groups in 15 different countries. People Tree products are made to the highest possible fair trade and environmental standards, from start to finish, consistently proving that it's possible to wear stylish, exciting and affordable clothing that respects people and our planet. People Tree believe that fair trade means far more than just paying a fair price, aiming to use to fashion as a tool to reach the world's most marginalised people. They believe when businesses take on this approach, great things can be achieved.